Ever since the MHBA (Modular Home Builders Association) came into existence I have been a huge fan. They have grown to become the voice for modular home builders and the factories that produce real modular homes. Now they have a new service for builder members, Request an Estimate. Prospective new home buyers now have a real source for finding a modular home builder ready to build a new home in their area. This is a great way to get leads and finally from a source you can trust. But there is one problem. You have to be a member of the MHBA. Now you have a real reason to join.....you could get a new home contract. My suggestion - Join today. Thanks for the shoutout! 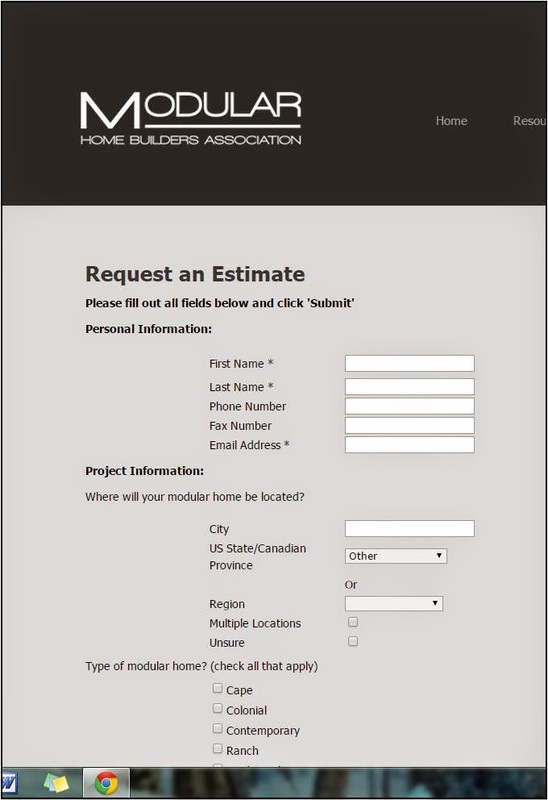 We're really excited to offer the Receive an Estimate tool to prospective homebuyers! Just in case anyone needs to fill out a New Home Contract form, I found a blank form in this site PDFfiller. This site also has several related forms that you might find useful.